Ecuador is a land of volcanos! On a territory twice smaller than France, there are over one hundred of craters in the country. 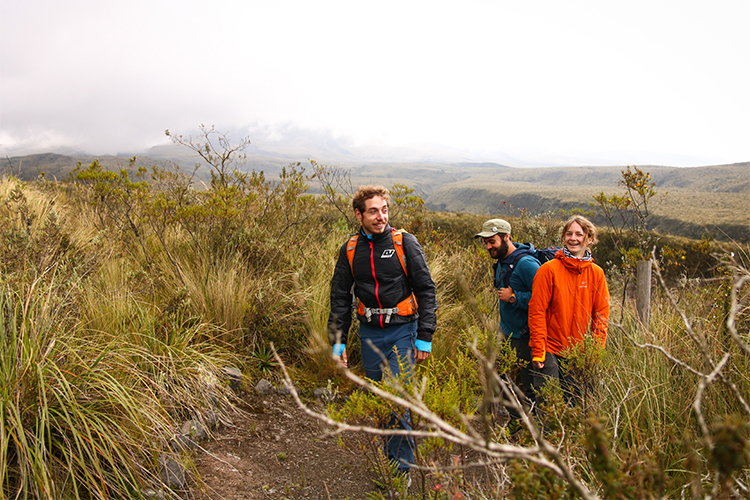 During our crossing of Ecuador, we privileged landscapes of the Andes Mountains rather than the coast to go exploring the volcanos of Cotopaxi and Quilotoa. After the horrendous traffic in Quito, a capital that we crossed without a glance as we couldn’t wait to go back in the tranquility of the nature; we arrived un Lasso, on the bottom of the impressive Cotopaxi. Air became fresher! We set up our camp in the Hacienda San Joaquin at 2886 above sea level. In the background, we saw the eternal snow on the summit of this massive mountain. His summit is at 5890m above sea level. This is the highest volcano still in activity in the world. After a night with a temperature reaching the symbolic 0°C, we headed towards the National Park for hiking. We noticed a nice track on Internet the previous day. But sadly, the park entry is not possible with motorbikes. The guard explained to us that we need to go with a guide for any tracks we wish hiking. A bit surprised by all of this, we have no other choice than paying a guide to explore the lagoon at the bottom of the mountain covered of eternal snow. The sun shining over the summit of the volcano and the horses in total freedom drinking in the lagoon offer beautiful surroundings helping us to forget our first disappointment. 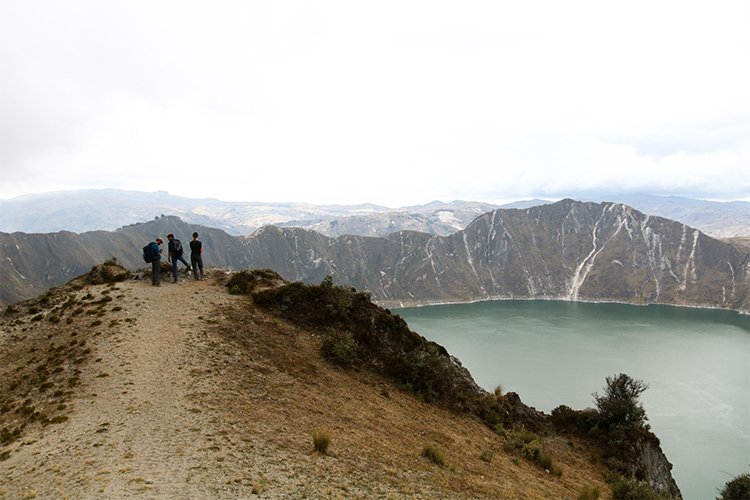 The next day, we are continuing our journey towards East, to discover the Quilotoa volcano. 3 914 metres of height, its crater is today flooded by a lagoon with a nice blue tint. After riding a winding road with our sidecars, we are going all the way around the crater with our hiking shoes and backpacks. A four-hour walk on a sandy path with many steep hills to climb up and down. Half way through, during a break, clouds arrived and became sufficiently deep to leave us in a mantle of fog. The experience was amazing. An hour before to reach the arrival, while we where getting closer to the sunset time, the sun was back to offer us a beautiful view over the lagoon with a festival of colours. 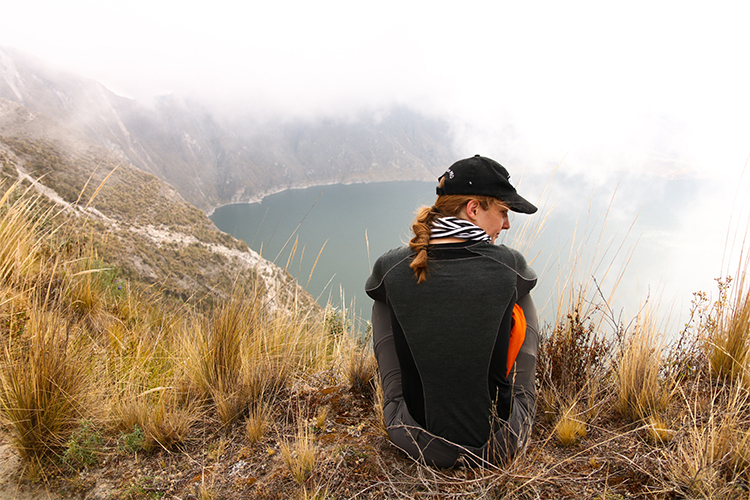 The Quilotoa gave us physically a hard time. But it offered us an incredible moment as well with many different atmospheres. This part with the Ecuadorian volcanos is ending, we now carry on our journey towards the Amazonian forest. 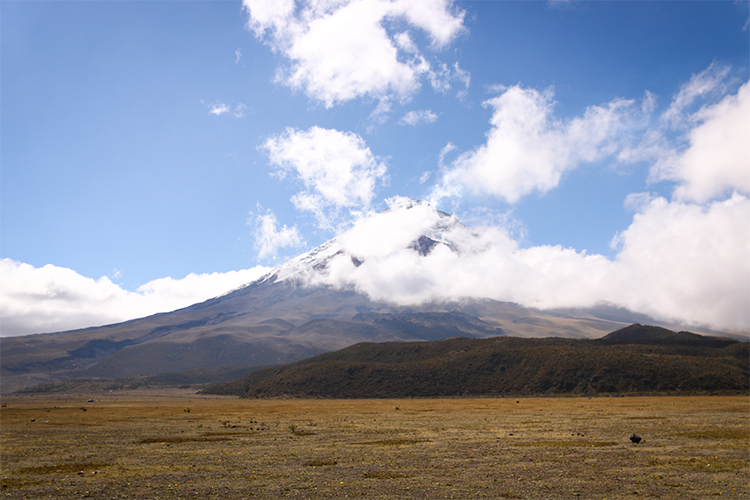 At the bottom of the Cotopaxi, this is a good address to set up your tent. The place is nice, well built for campers and offers a nice view over the volcano. The night after a hiking day, we enjoyed their restaurant. Good food with a reasonable price and a tasty homemade dessert: flambé bananas.